Medieval Science Fiction – If you’re looking for something different. It is said that the one to come will bring forth fire and destruction for all on Spearca, and a blue flame will cover every corner of her spatial plane. Petro is a fifteen year old boy, and ward to the greatest kingdom of the realm. He also may hold the key to an ancient prophecy of planet Spearca. His true nature is revealed when his entire world shifts into a new direction. You can find Tokus Numas here. 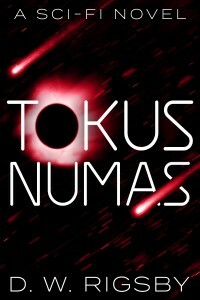 Tokus Numas is a medieval science fiction and fantasy novel. It crosses genres, offers a look into a world of advanced technologies, and a culture rooted in medieval ages. Copyright ©2016 DW Rigsby All Rights Reserved.